Good to see it’s all working after our new Team Viewer session. Have fun learning the software, keep us updated on progress. Can I pick you up on Team Viewer ? Try to reset the user interface. Look at the video below the buttons to see how to install. If you need help we can set up a Team Viewer meeting. 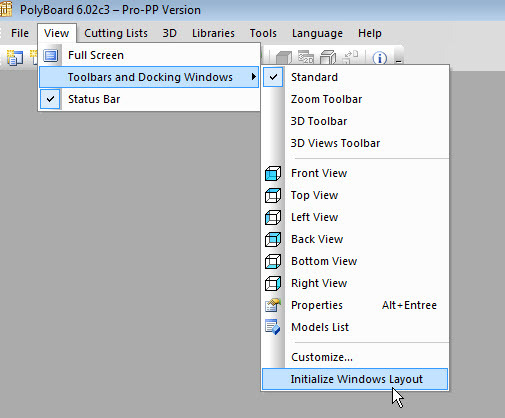 What version of Polyboard and libraries are you using? If you haven’t done so lately, I suggest you update Polyboard and the Quick Design libraries from the members download area.